So, today's post is going to be about the beautiful Urban Decay Naked Smoky Palette, which launched at the beginning of September. You can get yours on Marionnaud Switzerland or Manor Switzerland. The price of both sites is the same 63 Fr. 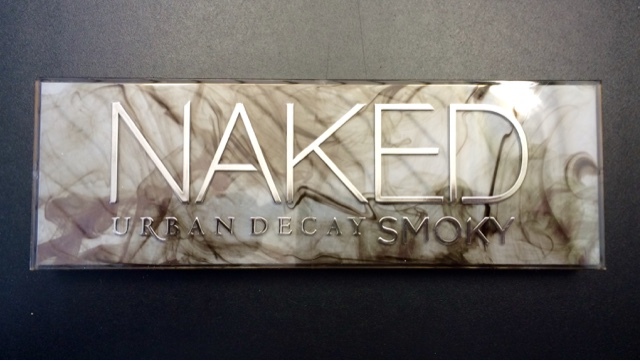 Beim heutigen Post geht es um die wunderschöne Urban Decay Naked Smoky Palette, welche anfangs September in die Läden kam. Ihr könnt eure Palette auf Marionnaud Switzerland oder auf Manor Switzerland kaufen. Die Preise sind bei beiden Shops derselbe 63 Fr. 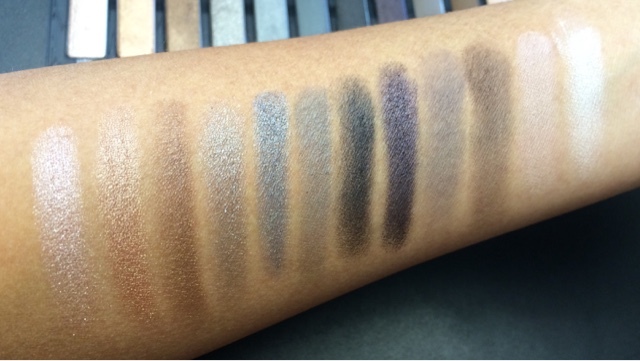 The only thing I'm missing in this palette is a good transition shade to blend out the smokeyness. But I really love that there are some warm golds an cooltoned silvers. 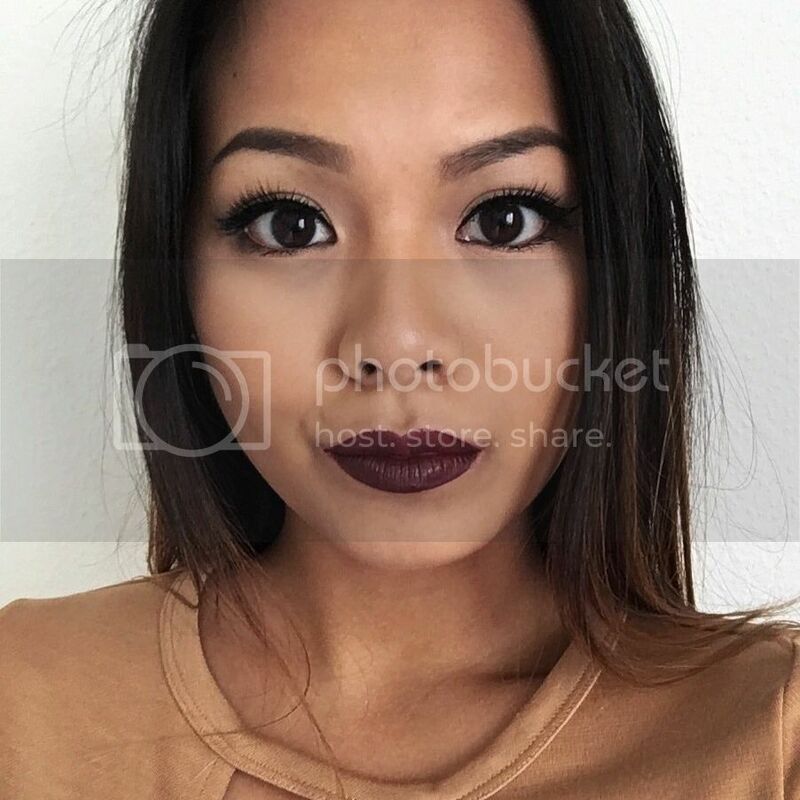 That way you can create a warm or a cool smokey eye which I really appreciate for a more pricey palette. 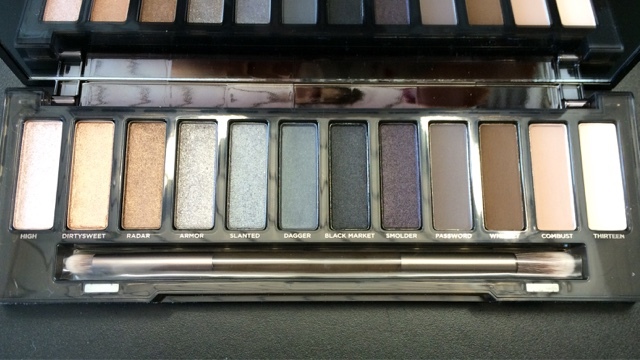 Das Einzige, was mir an dieser Palette fehlt ist eine gute neutrale Übergangsfarbe um die dunklen Smokey Farben zu verblenden. Was ich aber an dieser Palette liebe ist, dass sie warme Goldfarben sowie kühlere Silberfarben enthält. Ihr könnt somit warme oder kühlere Smokeyeyes kreieren, was ich super finde für eine etwas teurere Palette.